The number of outstanding Colorado activities and tours just for women is soaring. These aren’t the run-of-the-mill variety; they tap into the state’s passion for personal well-being, healthy and flavorful foods, and outdoor fun. Meeting planners and tour operators are invited to explore ways to gather groups of women for connecting and supporting one other, collecting new experiences and celebrating accomplishments in Colorado’s dynamic communities and scenic landscapes. Health and wellness go hand-in-hand with living in and visiting Colorado. There are numerous ways for women’s groups and tours to plug into this mantra, combining activities such as yoga and horseback riding, hiking and mini spa treatments, hot springs and patio time, and camp and educational sessions. Now in its 12th season, the Experience Yoga and Horses Retreat with cowgirl yoginis Tammy Pate and Janice Baxter is the ultimate getaway to The Home Ranch, 18 miles north of Steamboat Springs. Women of all ages and abilities are treated to a week of health, wellness and relaxation centered on horseback riding, horsemanship instruction, gentle yoga, healthy gourmet dining and massage. Two retreats are being held in October. Create a tour of the new Colorado Historic Hot Springs Loop featuring five premier hot springs destinations in the western part of the state, including Chaffee County, Pagosa Springs, Ouray County, Glenwood Springs and Steamboat Springs. This 720-mile loop showcases beautiful scenery and 19 hot springs facilities and resorts that range from intimate private baths to the world’s largest mineral hot springs pool. Each has unique features that women will love, such as vapor caves, hot pots, terraced pools, riverside locations and spas. 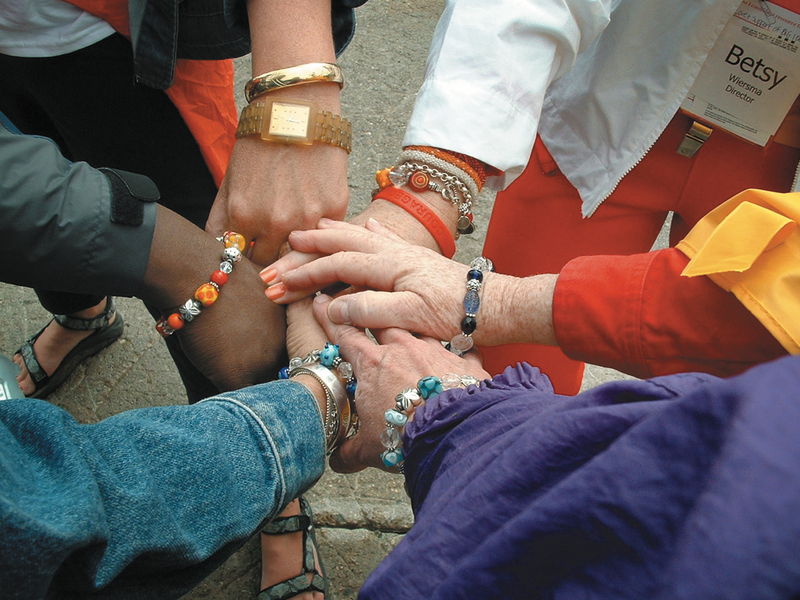 Now in its 12th year, CampExperience is the brainchild of Betsy Wiersma and a group of friends that has resulted in an annual retreat and full year of events designed for the education, inspiration and connection of women. The fall retreat in September and newer Spring Success Health Summit in May both impact participants’ business and personal lives and help other women in need through raising money and assisting charity partners. There is still time to plug a small group into the fall retreat Sept. 15–17 at Rocky Mountain Village in Empire, with classes, activities, socializing, networking and helping with projects to improve the Easter Seals Camp’s facilities, all planned to invigorate mind, body and spirit. For women who relish the idea of getting into the kitchen to learn and share creations, shopping alongside a chef at a farmers’ market and making a true farm-to-table meal, and attending a cheesemaking boot camp, Colorado offers a delicious array of options. 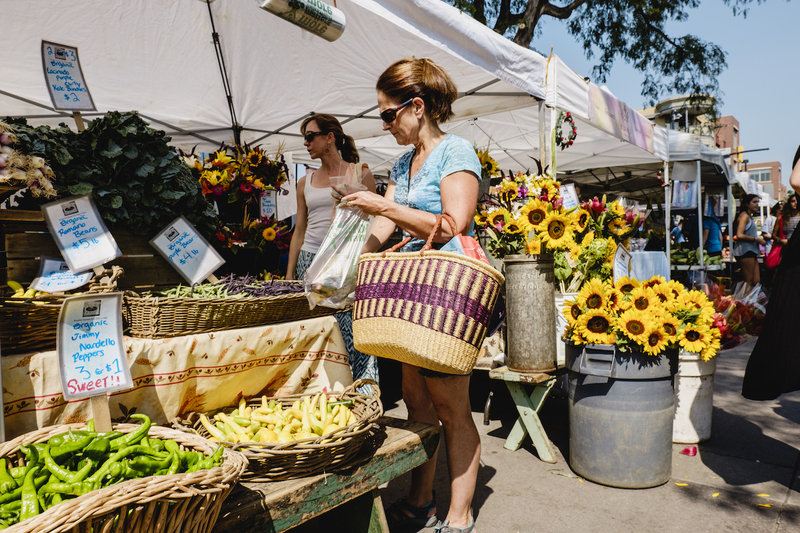 As part of the new à la carte lifestyle menu at the St Julien Hotel & Spa, groups can walk to and tour Boulder Farmers’ Market, one of Colorado’s largest and best-known markets, with Executive Chef Laurent Mechin on Saturday mornings. Up to 10 guests can meander through the booths and talk with the chef, farmers and purveyors, and then Mechin takes the group back to Jill’s Restaurant at the hotel to help cook a meal using the ingredients everyone selected. Kate Johnson, owner of The Art of Cheese located within the Haystack Mountain Cheese Creamery in Longmont, can schedule a private class to be held anywhere from a brewery, winery, event venue, the farm or a hotel. Or take part in a two- to three-day boot camp based on various themes such as Cheese, Wine & Chocolate Extravaganza, Back-to-Basics Homesteading and Farm-to-Table Cheesemaking. With millions of acres of national forests and retreats in the mountains and throughout the state, Colorado not only has incredible options of where to go but also outfitters to make the journey easy and enjoyable for all experience levels and abilities. Stacy Boone, owner of Step Outdoors in Pagosa Springs, encourages women to go beyond their comfort zone and learn more about adventures like backpacking, camping and hunting in the San Juan National Forest and Weminuche Wilderness Area. Guides teach courses such as how to set up camp, proper gear for hiking, map reading, nature journaling, building a fire, cooking outdoors, environmental stewardship and improvised first aid. Groups of women also can tap into their inner-huntress by learning archery, scouting for big game, photographing wildlife, and preparing and dining on wild game. Leave the Boys Behind are women-only adventures offered by Aspen Alpine Guides, featuring activities like skiing, snowboarding, mountain and road biking, trail running, backpacking, peak climbs and avalanche courses in and around the pristine wilderness and mountains of Aspen. Scheduled outings and customized itineraries are designed and led by women for women, with three women’s hut trips that encompass two nights and three days this summer. Corporate and tour groups of any kind — but especially those made up of women — naturally bond as individuals support and encourage each other to push their limits together, but more importantly they have fun. New to the Ouray scene as of March 2016, Canyoning Colorado focuses solely on canyoning/canyoneering (rappelling into canyons via waterfalls) in Ouray. Founded in 1999 and also based in Ouray, Chicks Climbing & Skiing is owned by five mountain lovers and experienced guides who are dedicated to empowering women through mountain sports and giving back to the community. The five women acquired Chicks Climbing in 2015 and immediately got to work by adding new programming and now offer skiing and ice, rock and alpine climbing classes and trips in Colorado and beyond. Steamboat Resort presents three-day ski camps for women throughout the winter season. The camps focus on improving skill and camaraderie within the group to provide a positive and encouraging learning atmosphere. Highlights include gear discussions, après-ski events and first tracks on days two and three. At Your Pace Freestyle Cycling Adventures is based in Loveland, but the company offers guided and self-guided bike and multisport tours around the state. Customized “It’s All About the Ladies” tours combine a women’s biking trip with a spa vacation, cooking school, wine tour, art retreat, hiking or horseback riding. The Classic Palisade Wine Country Guided Day Tour also is a good one to book for a group of women and includes a tour guide who is educated in local wine, history and ecology; visits to three wineries; and a private tour, tasting and lunch at Red Fox Cellars. 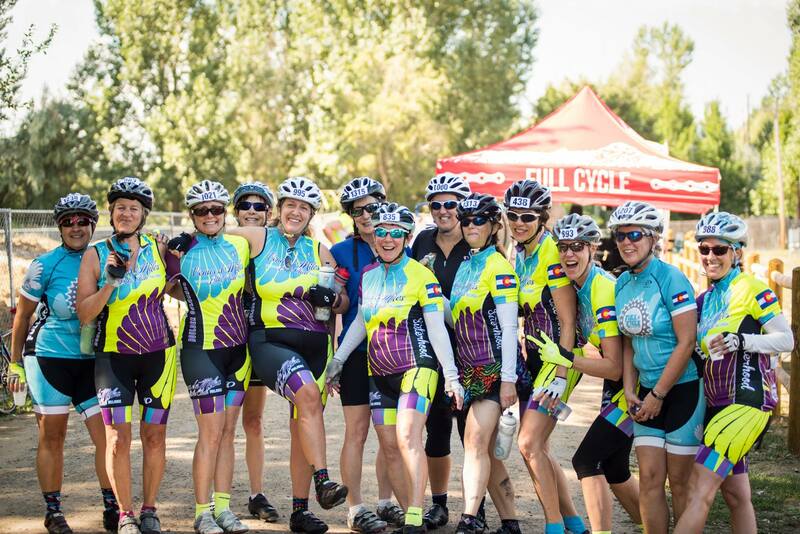 Plan a tour or meeting in tandem with Venus de Miles, Colorado’s first and largest women's bike ride and finish-line festival. Scheduled for Aug. 26, 2017, the event starts and ends at Prospect Park in Longmont and includes a rolling 33-mile course, 64-mile metric century or 100-mile century course options. On-course support, lunch, cocktails, pampering and a commemorative T-shirt are included in registration, with proceeds benefitting Greenhouse Scholars, an education nonprofit that supports and inspires college students from low-income communities to be catalysts for change.